10 little rubber ducks each numbered to match the Eric Carl Book "10 Little Ducks". The children love the idea of being able to be in the water plucking out a rubber ducky. 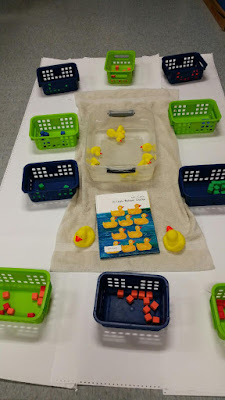 The math part used foam cubes that the children counted out to match the number on the duck that they plucked from the water. 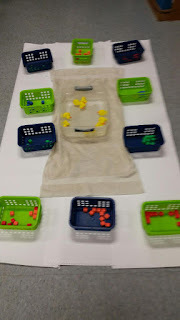 To prevent any issues each child was given a basket that contained the 10 counting cubes. 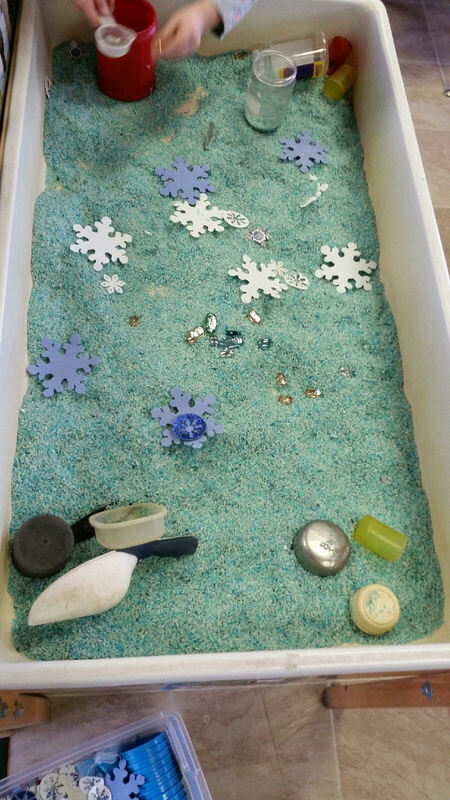 I am thinking that it is time to put away the Blue Rice and Snowflakes that were used for countless hours in the sensory table. Children enjoyed filling, dumping and pouring. 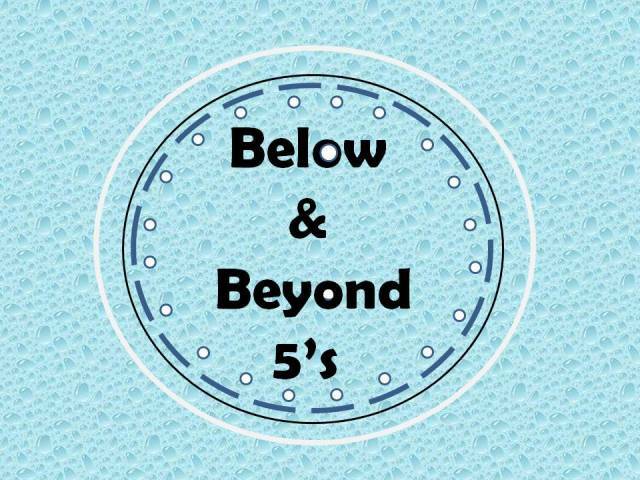 They sorted snowflakes by size and color. 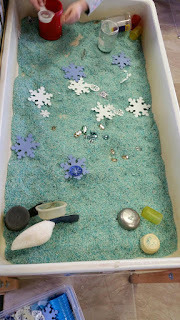 They used the gems as a sorting tool as well as lining them up in order by size. They also enjoyed hiding the gems and discovering a treasure.